Pizza and beer pair well naturally, but at SLO Safe Ride, we’re not content to stick with just the status quo. While we respect the OG drink pairing, we dived mouth first into the world of pizza and wine pairings. While we aren’t the first set of taste buds to embrace this trend, we’re excited to share our fulfilling results with you! Cambria: JJ’s Pizza rules the most northern tip of North County. Their Meat Lover’s pizza, graciously topped with pepperoni, Italian sausage, salami, Canadian bacon, mushroom, olives, onion & bell peppers pairs perfectly with Allegretto’s Cabernet Sauvignon. Trust us. Paso Robles: According to legend, the naming of Rustic Fire pizzeria was sparked by the adjectives customers used to describe their pizza – fire. Pair their cheese pizza with Opolo’s Pinot Noir, and you’ll understand why some people don’t need extra toppings. Atascadero: If cheese is too simple, but Supreme is too much, you’re probably in quest of the perfect pepperoni pizza. We, as well as many locals, suggest Atascadero’s Bravo Pizza Plus pepperoni with a glass of Cass Winery’s Syrah. Cayucos: Post surf sesh – the hunger sets in – we know you want pizza. Ocean Front Pizza offers one of the best Hawaiian pizza’s in the County – and subsequently, Tobin James’ Riesling somehow makes it even better. 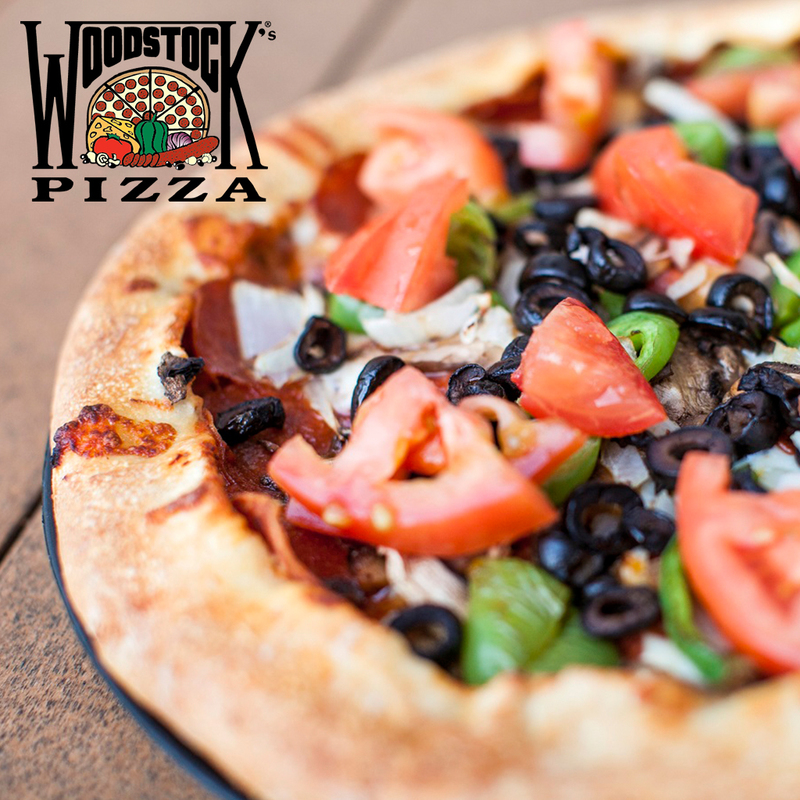 Downtown: Let’s get magical – Woodstock’s offers one of the most popular vegetarian pizzas – Grateful Veg. With sliced bell peppers, black olives, and magical ‘shrooms, you’re bound to enjoy this greenery with a glass of Tolosa’s Chardonnay. Downtown: One of downtown’s best restaurants offers a rich white sauce pizza straight from Italy. Pop open a bottle of Laetitia’s Brut Cuvee Champagne, and treat yourself to Flour House’s Boscaiola pizza. They had us at prosciutto cotto, but this delicious pizza also is topped with mushrooms and basil. 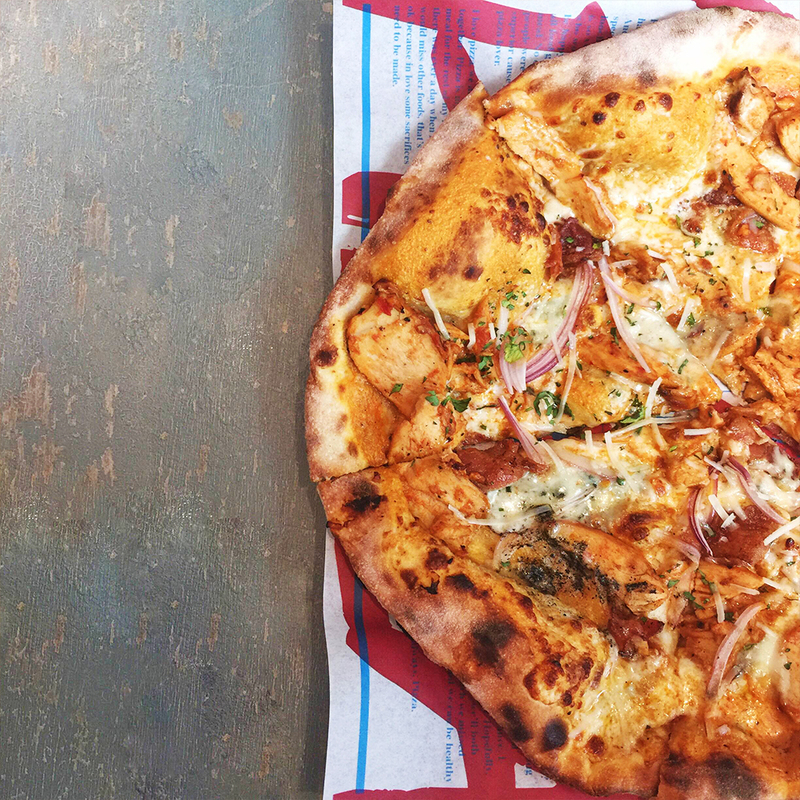 Broad: Situated on Broad Street, Village Host dedicates a delicious creation to the Fire House– sundried tomatoes, feta cheese, jalapeños, and sausage. You can’t make their quality of pizza any better, but you can add a side of Chamisal Vineyard’s Pinot Noir to enlighten those spicy tones. 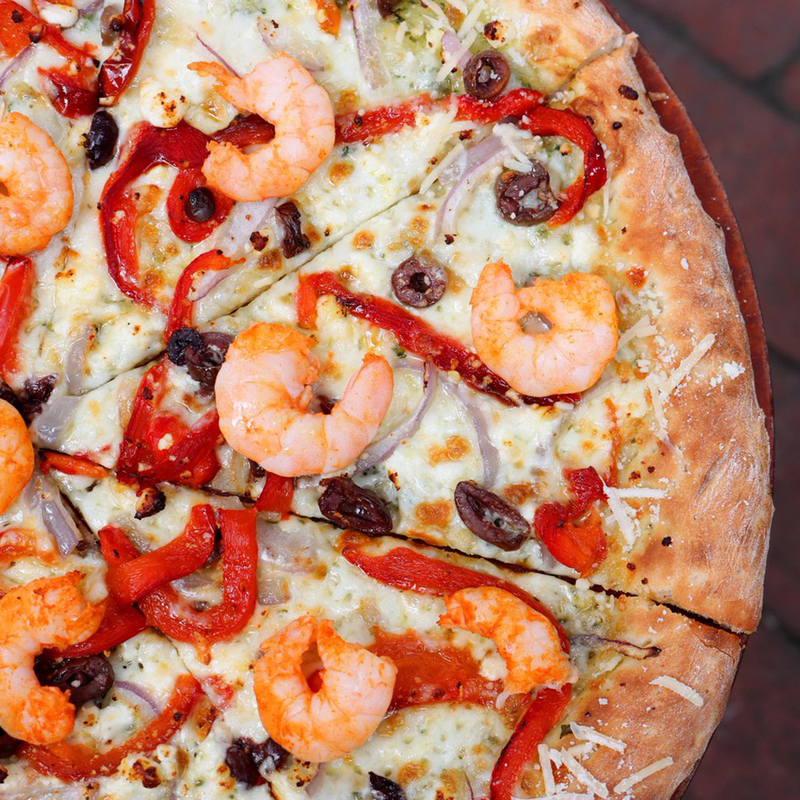 Downtown: Petra is known for their 5-star Mediterranean dishes, but have you tried their PIZZA? With a glass of Wolff Vineyards’ Petite Syrah, you’ll find yourself indulging in Petra’s gyro pizza until the very last bite. Pismo Beach: The famous Del’s Pizzeria goes above and beyond with their Pesto Pollo pizza. Based on a pesto sauce, topped with ricotta cheese, chicken, mushrooms, and black olives, we could only think of Kynsi Winery’s Pinot Blanc to top it off just right. Tourist and locals approved. Arroyo Grande: The secret to buffalo wings is, of course, the sauce– which just so happens to be a key ingredient of Palo Mesa’s BW Pizza. Generously doused over chicken, bacon, onion, and plentiful cheese, you will long for Claiborne & Churchill’s Riesling to simmer down a bit. Nipomo: Pi Whole has volcanic pizza- some of the best in SLO County. We climbed Mt. Shasta and found parmesan garlic shrimp, bacon crumbles, sweet bell pepper, and mushrooms graciously waiting at the top. And don’t worry – we didn’t forget the wine. We paired our white sauce pizza with Laetitia Winery’s Pinot Noir. Santa Maria: Cugini’s combined three simple toppings to make an irresistible pizza: the Paolo pizza, which includes eggplant, red onion and kalamata olives. Sip a glass of Phantom River’s Zinfandel and you’re in for a treat. What makes a wine tour even better? Ending it with a pizza pie! Don’t forget to request a final stop on your SLO or Paso Robles Wine Tour to your favorite pizza joint.